Earlier we covered Are you buying products online ? and Are you buying products online ?– things to consider -part II, which will help you to get the products for a cheaper price. Now on this post we are covering why these days Ecommerce websites like Flipkart, Myntra, Amazon etc. are focusing more on the Mobile phone applications than the websites. There were a rumor saying Flipkart will be stopping the website and will be available only as the mobile applications. Big data is a term which is used for data processing in which traditional data processing applications are not enough. The size of the data will be really high (size of the data will be in petabytes , zettabytes, yottabytes). More than this the data will be a combination of structured and unstructured. The unstructured data cannot be stored in traditional databases. If you have installed any of the ecommerce website apps like Flipkart, amazon etc, you might have noticed that they can easily inform you about the product launches, offers etc. With the help of the above mentioned location system they can push ads and e-coupons to mobile users based solely on their location. The number of persons using smartphone increased drastically in the past. We must say most of the persons using phone now is using a smart phone. In India the arrival of Chinese giants such as OnePlus, Xiaomi, Huewei changed the picture. So companies can reach users who don’t even know How to use a computer with the mobile applications. (The market share of mobile operating system are Android - 82.8%, iOS - 13.9%, Windows Phone - 2.6%, Black Berry - 0.3%, Others - 0.4%), so developing an application for the Android devices alone will help to reach so many people. The app usage increased 76% in the 2014 while the e-Commerce app usage increase was 174%, which clearly shows why they are focusing more on the mobile applications than the websites. The future of e-commerce is said to be in the Mobile phone applications with out any doubt. 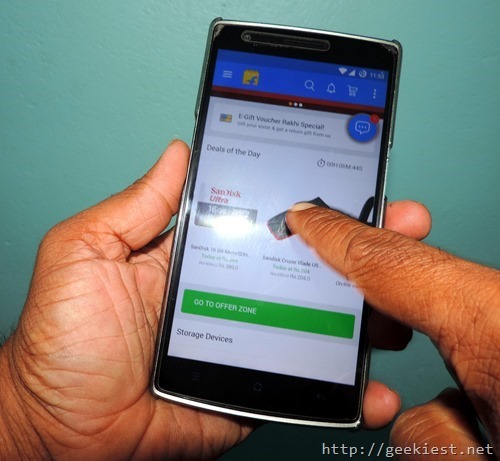 E-commerce websites now focusing more on Mobile Applications, why ?